I went to Catholic school, so I tend to think of churches as completely top-down organizations that tell their members what to think and how to pray. 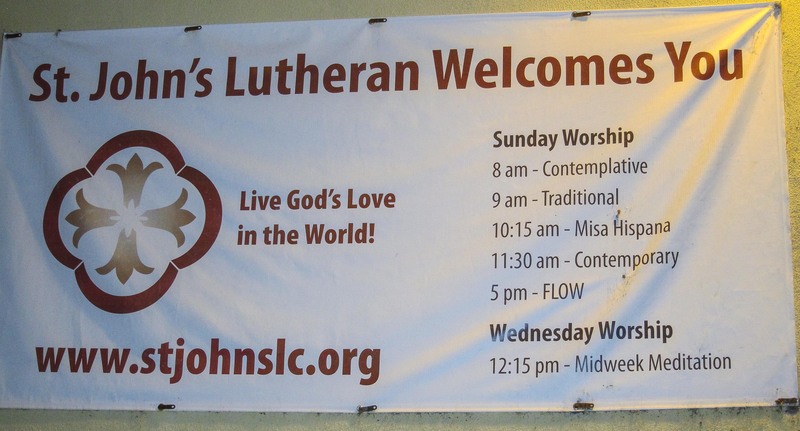 I was intrigued to see this sign for a Lutheran church in Sacramento last Thursday. Look at all the options–contemplative, traditional, Spanish, contemporary and FLOW (whatever that means). This says to me that here is a church which wants to work with people to help them find their way to God in their style, not what the church elders deem as “correct”. Not the most important thing I’ve ever seen or written about, I just wanted to note that there is another way besides the Catholic hierarchy or the evangelical didacticism.